Is it too late to say ‘Happy New Year’? Nearly two weeks into January is maybe pushing it a bit, but there we are – hope 2015 has started, and continues, very well for you. There have been very few blog posts here over the last few weeks. A combination of Christmas followed by days of constantly nagging one member of the family to revise for exams (nearly done on that one), have taken up a lot of time. Add into the mix a lack of ideas to inspire new posts, and there you have it… or don’t have it if it was a blog post you were looking for. I’ve also been busy with making bread. The whole baking thing has grown beyond an obsession and become a (very, very) small business – a few loaves a week sold through our local deli. I’ve been testing recipes to find those that work best for me and my sourdough starter. After a lot of trial and error, I have a basic recipe that produces lovely, crusty, chewy bread. To accompany the basic white, brown and rye loaves, there is herby, salt-sprinkled focaccia and fougasse, rolls topped with poppy seeds, and a loaf made with locally milled wholemeal flour and studded with sunflower seeds. I’m loving being able to make lots of bread and, now that they’re not expected to eat every loaf I bake, the rest of the family are being very supportive. Between baking sessions, the turn of the year has got me thinking about sorting out seeds for the new gardening season. It’s nearly time to pull the propagator from the back of the shed and start some pots of chilli seeds off. 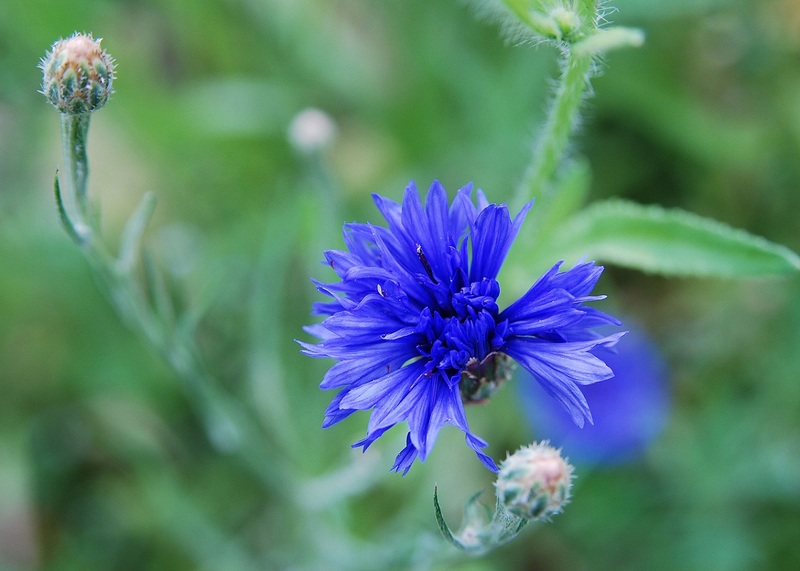 And it won’t be too long before the spring sowings begin… sweet peas, cornflowers, calendula and larkspur among them. With a bigger garden to play with this year, I’m going to be growing more flowers and hoping to attract more bees and butterflies than ever before. There’s a plan to try to establish a small area of meadow, and to dig new beds for cutflower annuals… it’s going to be a busy few months. What plans do you have for your garden and kitchen this year? Happy new year! That bread looks absolutely stunning. So beautiful! And a very happy new year to you too Steve… thanks for your nice comment too! Your bread looks lovely, I bake my own bread too, so satisfying. I’ve already started on sowing in the greenhouse and this week I intend sowing the peppers, chillies and aubergines. your plans sound like fun and you’ll have lots to write about. You’re so lucky to be sowing seeds already… I’m keen to get started, but even if it was warm enough (and it definitely isn’t), there wouldn’t be enough light for healthy growth. I’ll just have to follow your progress for my gardening fix until the time is right here! How enterprising making a business out of what you love to do. We bake bread but we use a bread machine, I am sure a purist like you won’ t approve but it is tasty. There’s nothing wrong with a bread machine – I started baking regularly when I was given a second hand machine. And now it’s all spiralled out of control and I’ve become a bread nerd… be warned! Your bread looks scrumptious! Bread baking is an addiction. I don’t know how many bread books I’ve bought over the years just to try out new recipes. And the great thing is, though they’re wonderful to eat warm out of the oven, they can be tossed into the freezer and once defrosted and maybe warmed up a bit in the oven, they taste as fresh as fresh-baked. What are my plans for this year? Well…right now I feel like baking some bread! I picked up seed-starting kits this morning so I’ll be sitting down with my seeds over the next few days to come up with a plan for those and hopefully get some planted by this time next week so I’ll have them ready to transplant in the spring, which isn’t far off anymore. And I also want to plan out my backyard for this year and get it down on paper so I’ll be more organized. Sounds like you’re going to be busy! It’s great to have plans though, isn’t it? … and a big collection of bread books is a good thing to have too! 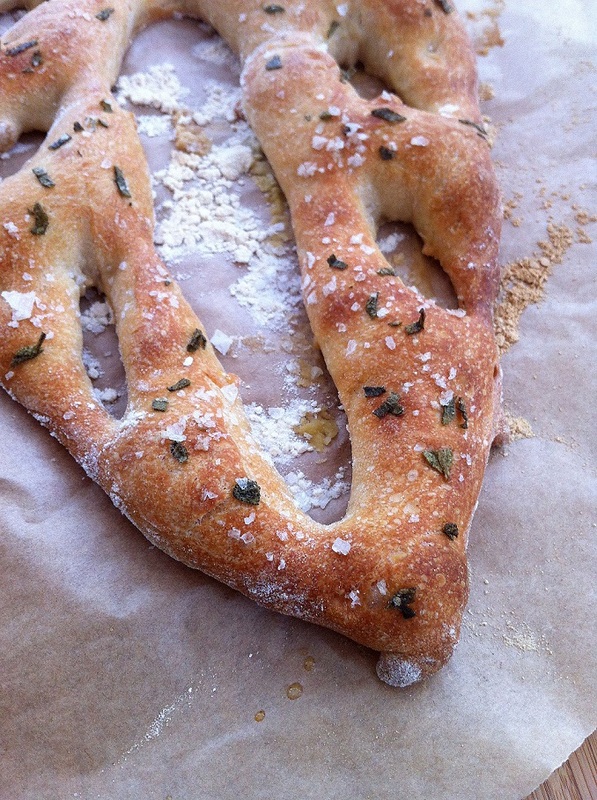 I adore turning flour into loaves, muffins, pizza and fougasse and currently favour the Richard Bertinet method of dough stretching – trouble is I then have to eat it all! (or freeze some of it) It’s a brilliant idea to make a small business of it but not one I could copy as our local deli already has a supplier. My plans for the garden this year also include a range of cut flowers as well as herbs, veg and salad but I have quite a bit of rearranging to do first so pleased to have a few months in hand although my next round of romanesco caulis will be started off this week. I’ll be following your garden’s progress through your blog… always a good source of inspiration! I’m not sure local shoppers would be strong enough to carry home some of my loaves! Is it just me or is bought bread a lot lighter than home made? A cut flower garden sounds delightful. I suspect supermarket bread is lighter because it’s more like cotton wool than real bread! I’m sure your loaves are fabulous Anne. Your bread looks lovely. I find that bread making can become obsessive too! How exciting to be able to sell some. The bread making had got to the point where the rest of the family couldn’t keep up with amount I was making… selling it should help cover the cost of the flour and reduce the amount we eat! Maybe we need to start a help group for bread obsessives! Happy New Year! Your bread-making enterprise sounds brilliant and I love the sound of your garden plans. Making me feel I should come out of hibernation & sort out that garden – I’ve been convincing myself that all those areas I should’ve cleared or tidied are in fact wildlife havens. Hi Andrea, and a happy new year to you too! There’s nothing wrong with wildlife havens in the garden… I have quite a few of those too! Planning is one of the best parts of gardening… imagining a plot full of tasty veg, flowers and herbs. Hi Cathy. Hope you found time to sit and enjoy the gardening magazines! Congratulations on your little bread making enterprise. I always make bread machine bread, it’s so nice to know exactly what’s in it and to have fresh bread every day. I’m starting to feel the pull of the new growing season as well. Time for plans and the sorting of seeds. Larkspur is something I’d like to try this year, I shall have to look for some seeds soon if it’s time to sow them. I was watching the allotment challenge programme the other week when they were growing larkspur. Apparently the secret is to put the seeds in the freezer for a couple of weeks before sowing, then sow direct. 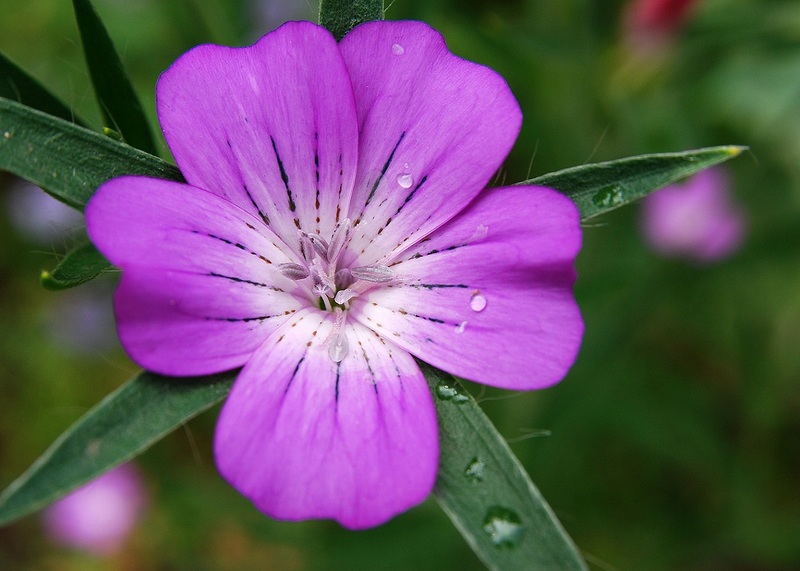 If the programme is to be believed, that’s all you have to do for a perfect crop of flowers! Thank you. And a happy new year to you too – hope it brings many new cheeses for you to try! 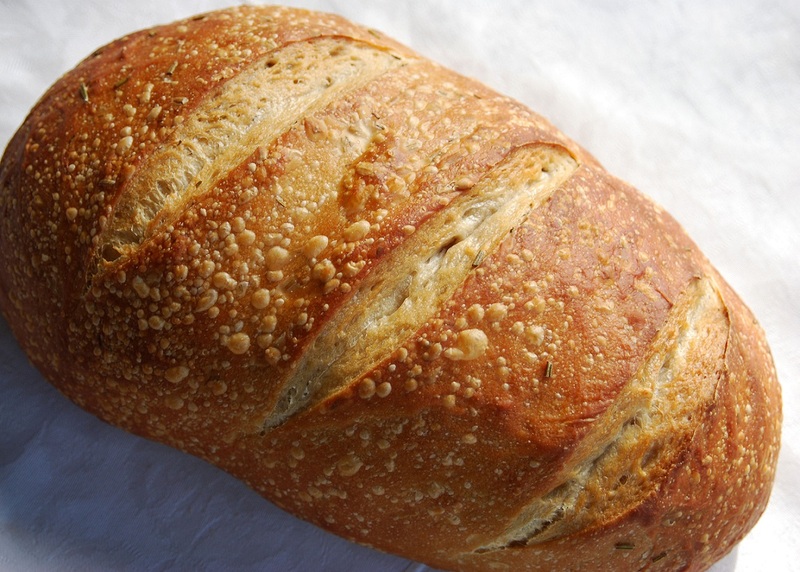 You must have a lot of will power to be keeping to the diet, especially if there’s freshly baked bread in the house. My husband did the 5:2 for a while last year and seemed to end up going to bed early and grumpy on a lot of his fast days! Good luck! A very belated Happy New Year to you. Congratulations on your bread making endeavours. A guy who sells bread at my local Farmer’s Market has recently been seen on large billboards across Melbourne selling accounting software of all things: https://www.facebook.com/FlindersSourdough. Clearly bread makers are the new pop stars. As always your photos are beautiful. What sort of camera/lens do you use? it’s almost February and i’m only just wishing you happy new year 🙂 may I have a lice of that bread please? they look delicious – and well done on being able to sell your loaves. please come back … i miss you! i hope all is well. Hi Elizabeth. Thank you so much for your lovely comment. Everything’s fine and I’m still here – in spirit at least! And I’m still reading everyone’s blogs… it’s just that the words aren’t coming like they used to, not even for leaving comments. But, inspired by your comment, I’m working on something right now.